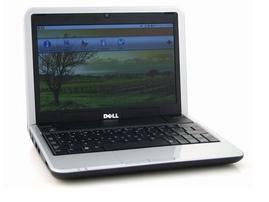 3G Embedded Netbooks – Killer Product? The relative success of Asus Eee PC has created a new product category – netbooks, also called Mobile Internet Devices (MID) or Ultra-Low Cost PCs (ULPCs). Never to shy away from new product hype, ABI research has promptly come out with a forecast calling for over 200 million of these little fellas by 2013. A quick note – this is the same size as today’s worldwide laptop market! The report probably assumes (like Michael Dell does) that mobile operators will play a significant role in pushing these babies out, bundled along with their 3G data plans – with subsidies to boot. This model is no different from the one where the operator subsidises expensive phones to sell a voice plan. Given that netbooks are all about always-on connectivity, 3G in addition to WiFi is a must for this product category. This leads to the question – does it have to be built-in? I feel that the answer is yes. I am aware of the arguments against embedding 3G functionality in laptops. However, if you recall, PCMCIA cards were the initial enablers for WiFi connectivity – I still have one of those lying around somewhere. But convenience coupled with declines in module costs drove OEMs to deliver laptops with integrated WiFi functionality. The same trend is likely to be repeated with integrated 3G as well. To begin with, USB dongles hanging out of netbooks will look pretty awkward – in addition, embedded antennas down the side of a screen will deliver a better signal that translates into higher speeds. Instant 3G connectivity when the netbook is turned on, similar to WiFi, will also be a key selling point. Finally, mobile operators may end up driving this product category and the OEMs will have little choice other than partnering with the operators. Recent events seem to bear this out. Vodafone announced that it will start selling Dell’s Inspiron Mini 9 ultra-mobile device with built-in mobile broadband, exclusively through Vodafone stores and online, and directly from Dell, in key European markets. More mobile operators are launching netbooks with integrated 3G modem functionality in partnership with OEMs. T-Mobile Germany announced that it will be selling the Asus Eee PC 901 Go with integrated mobile broadband. The announcement also states that the 3G connection will be up and running when the netbook is switched on similar to WiFi. Acer, the world’s third largest PC vendor, is reportedly in talks with several 3G (third-mobile operators such as Chunghwa Telecom and Taiwan Mobile in Taiwan, as well as T-Mobile International, Vodafone Group and Orange in Europe to supply netbooks with built-in 3G. 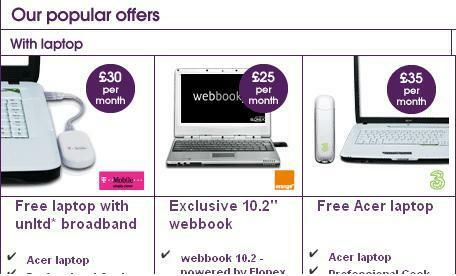 Can Mobile Operators Sell Laptops? At the recent Citigroup Technology Conference, Dell’s CEO, Michael Dell indicated that the strategy for selling the company’s ‘netbooks’ would be via the wireless network operators – the former would be subsidized to consumers along with 3G service. Actually, this model is not new – Carphone Warehouse in UK has been giving away free laptops in exchange for a 3G subscription for many months now.